​Hairbytivo is your stylist when it comes to hair, which will feel noticeably softer and silkier. Our treatments add life, shine and vibrancy to your hair. Our expert stylists listen to your ideas, work together a style and guide you to a haircut that exceeds all of your expectations. We will guide you through the ideal shampoo and conditioner and suggest styling products to fit your life. Balayage is a French word meaning to “sweep or to paint”. 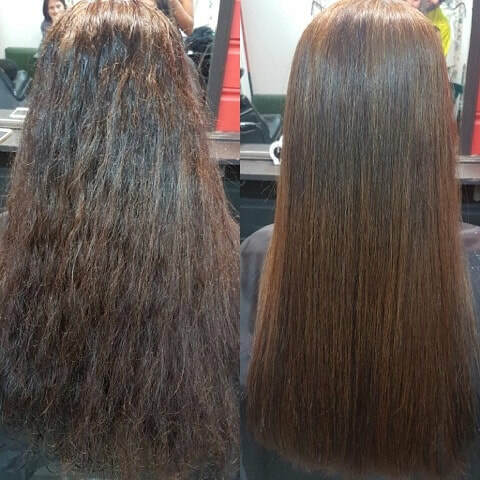 Our treatment gives you a natural looking hair colour with minimal regrowth lines. Our balayage experts place the colour to perfectly match your skin tone – we will lighten up your features leaving you completely rejuvenated. We create the most naturally looking hair extensions that won’t be noticed as hair extensions at all. During your hair extension consultation, our hair extension professional will discuss the different options available and the most suitable ones to match your own hair. Our advanced, in-salon treatments restore and restructure your hair by infusing a special blend of hydrolyzed keratin deep into the cuticle, giving an unrivalled shine and smoothness. Our range of oil spa treatments leave your hair easy to style and make it far more resistant to Sydney’s humid climate. Your big day needs the perfect hair. We offer a complete range, covering bride, bridesmaid, mother of the bride and groom, guests and flowergirl. We offer price competitive trials. A non-refundable deposit of $100 is required to secure all group bookings (minimum 4 people). A non-refundable deposit of $20 is required to secure all individual bookings. All bookings will be held tentative for 3 days only. Once a deposit has been received the booking will be secured. Cancellations less than 2 weeks before the wedding requires 100% payment of the total booking. Trials are Available in the salon on Tuesday-Friday 9am to 5.30pm.